PlanAccess is an online portal providing a single interface for beforeUdig response management. Eliminate email responses filling your inbox, track the status of the responses and receive alerts when Job Packs are complete. Download Job Packs individually or in groups to easily share amongst your workforce. PlanAccess receives and stores the asset location responses from asset owners instead of being directly emailed to the requestor. PlanAccess automatically collates the responses into a Job Pack; a collection of all responses for a single beforeUdig enquiry. There is no longer a need to track responses against enquiry confirmation sheets. Mayberry Excavations were finding the cost of printing plans was escalating, and their teams in the field were not able to be efficient at all times with the traditional method of having printed plans on site. With the resource heavy manual process, Mayberry Excavations realised the need for automatic collation. 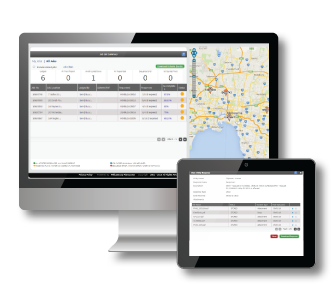 Automated workflow and alerts provide simple Job Pack tracking. PlanAccess can be securely accessed anytime, anywhere from a web browser. PlanAccess automatically collates One Call responses into individual Job Packs. Delivers a single, real-time view of Job Packs across multiple users. No in-house server storage or software requirements. Receive real time alerts allowing for jobs to be actioned immediately. The advantage of PlanAccess is that electronic asset location responses from the utilities and other asset owners are transmitted to PlanAccess instead of the directly to the requester. PlanAccess then aggregates the responses into job Packs, a collection of all responses from all utilities for a specific job request. When all responses have been received the requestor is notified that their Pack is ready for download – all with one click. The responses are available to all PlanAccess members of the Requestor’s organisation – no need to forward multiple emails. Requestors can also monitor the status of their request and its responses at any time via the dashboard interface.